Transfer news is back to bring you all the Premier League gossip from Thursday's papers, analysing the biggest stories so that you don’t have to. Manchester United are interested in signing Nikola Milenkovic as soon as January, according to Sky Italia. 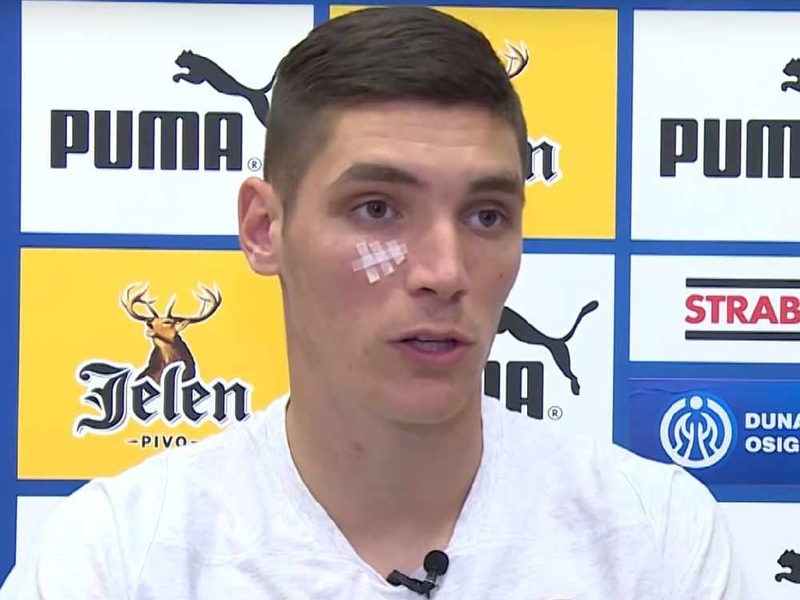 Milenkovic impressed for Serbia at the World Cup this summer and has been ever-present for Fiorentina since the beginning of the season. The 21-year-old has also scored twice and Jose Mourinho is reportedly ready to make a move for him. United may already have submitted a bid over the summer after Fiorentina chairman Mario Cognigni revealed that he turned down a £36million bid for Milenkovic - although he did not name the club who made it. That rejection would suggest that United will have to pay around £50m to extract the 6ft 5in from Florence. Love Sport verdict: It remains to be seen how much influence Jose Mourinho has over the board in regards to transfers. He was desperate to sign a centre-back over the summer but they said none of his high-profile options represented value for money or an improvement on the current squad. Would £50m Milenkovic fail that test too? Quite possibly. The Sun claim Milan Skriniar has become one of Maurizio Sarri's targets, leaving Manchester United facing a bidding war if he becomes their choice to strengthen the defence. Skriniar is regarded as one of Italy's finest centre-halves and Sarri is looking to beat United, who have been long-term admirers of the 23-year-old, to the punch. The Inter Milan defender is reportedly frustrated by his side's performances, despite the fact that they are third in Serie A and are set fair to qualify for the Champions League knockout stages. And Sarri believes that £70m-rated Skriniar could represent a long-term replacement for David Luiz if he can tempt him away from the Italian club. Love Sport verdict: If United won't pay £50m, they surely won't pay £70m, which could damage Inter's efforts to drive the price up. If true though, it's sensible for Sarri to be thinking about fixing up the medium- and long-term plans for the side. Christian Pulisic has fanned the flames of the rumours linking him to Liverpool by telling Goal.com his Dortmund team-mates have been singing the praises of Jurgen Klopp. Pulisic joined Dortmund as a youth player in 2015 and briefly worked with Klopp - and could get the opportunity to do so again if he moves to Anfield in the summer. "He was there when I first moved to the club,” Pulisic said. “I personally didn’t get to know him too well but I’ve heard stories from some of my team-mates who did and they loved playing for him. "I was obviously playing with the youth teams at Dortmund, but he was the one who gave me my first professional training session, just to give me a taste of it. "He always accepted me and he was very kind to me, so I will always be thankful for that. I know he’s a great guy, and it’s nice to see him doing so well for Liverpool." Love Sport verdict: This is perfect, isn't it? It's got all the hallmarks of a deal that will get done, as a young player covets a manager he briefly worked with. Liverpool fans are already ironing his name onto a shirt as we speak. Anthony Joshua does not stand out from the other two top heavyweights in the world, according to the man who could end up fighting him in June.